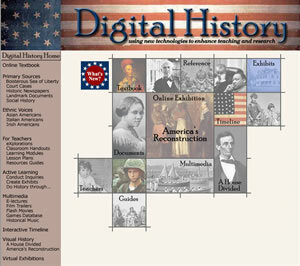 Digital History is an educational and non-commercial site designed specifically for history teachers and their students. Original reference documents, images, study guides, multimedia exhibits, maps, music, event summaries and much more are copyright-free and span from pre-1763 to the present. The resources are advanced enough to engage older kids and yet simply stated enough to make them accessible to younger students. You owe it to yourself to check out this site before making any new American history lesson plans. Take me to Digital History right now!